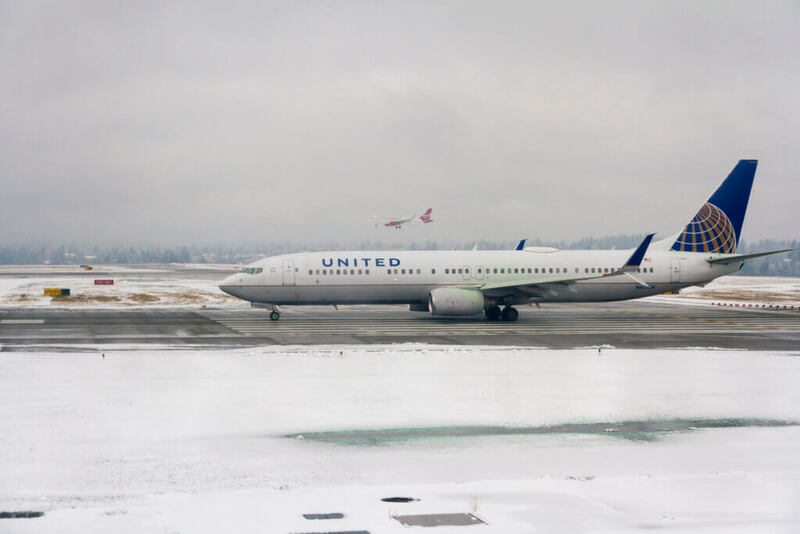 Note: this review is of a flight it took back in December 2018. 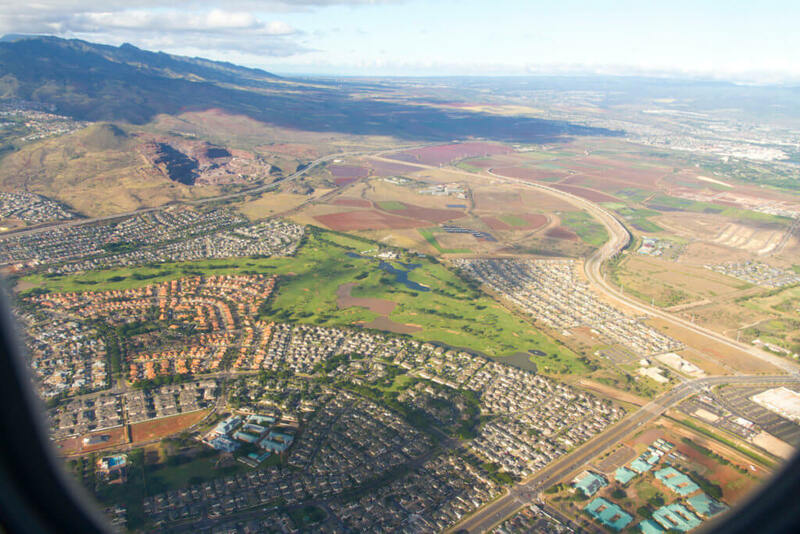 The services experienced on this flight is still current, however, Hawaiian has since completed retrofitting its A330 fleet with new seats. Stay tuned for a newer flight review going over their new seats. 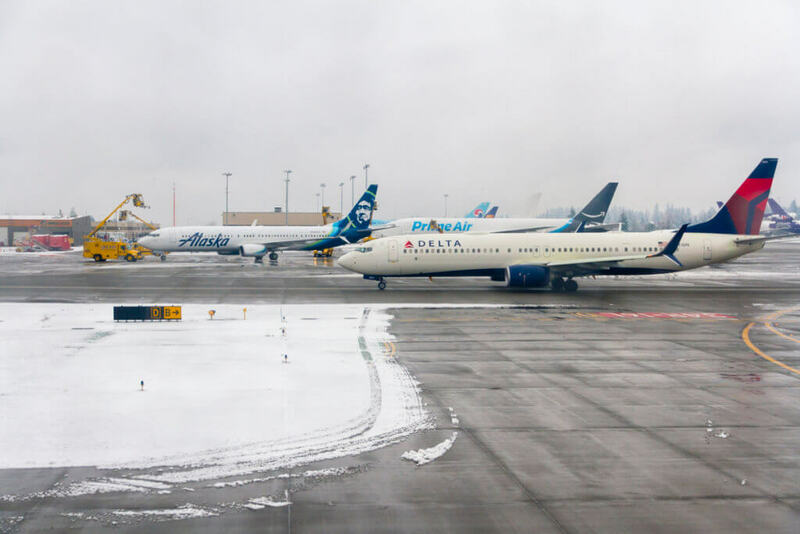 As I mentioned in the previous installment of my Snowy Seattle Trip Report, this past Christmas was the first time I traveled on a major holiday. 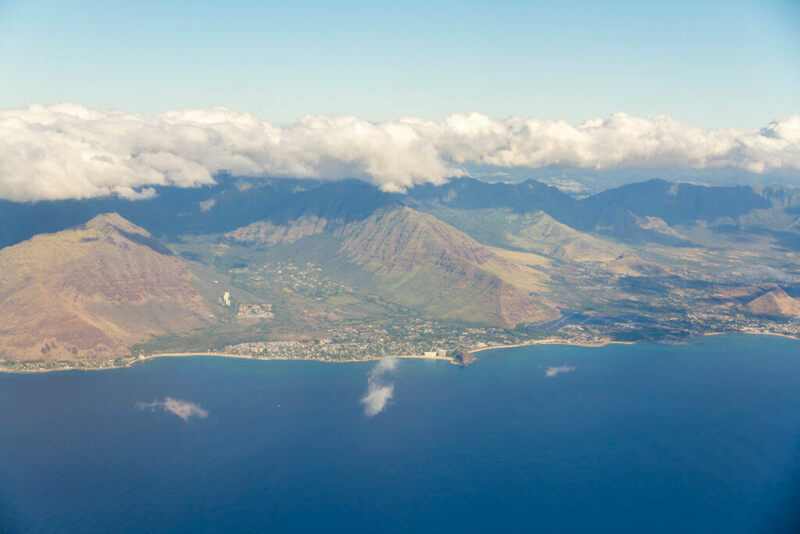 And the reason Mrs. Island Miler's sister & I chose to fly home that day was so we could split the holiday between our families, and the fact that the fares on Hawaiian were much cheaper that day. 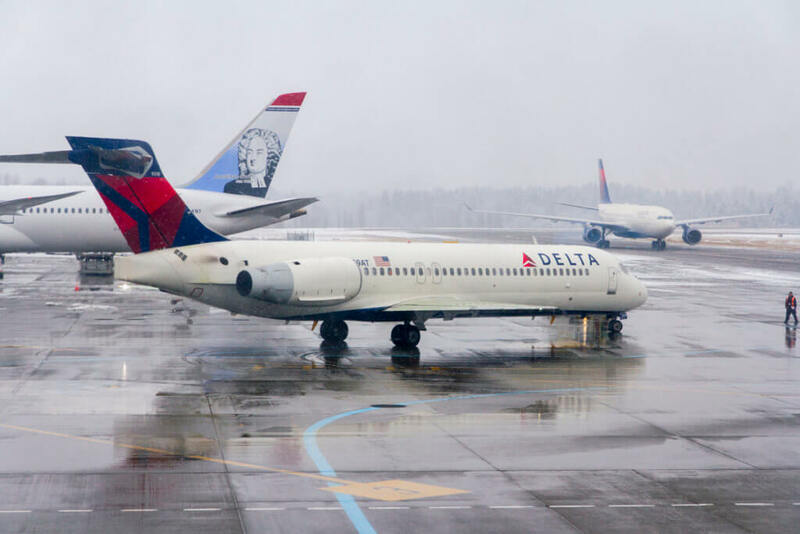 But, thankfully, while Seattle-Tacoma International Airport was crowded, it wasn't chaotic. And the Priority Pass Loungewe killed time it was empty too. The flight my sister-in-law (SIL) and I took on Christmas day was a seasonal second flight from SEA to HNL. 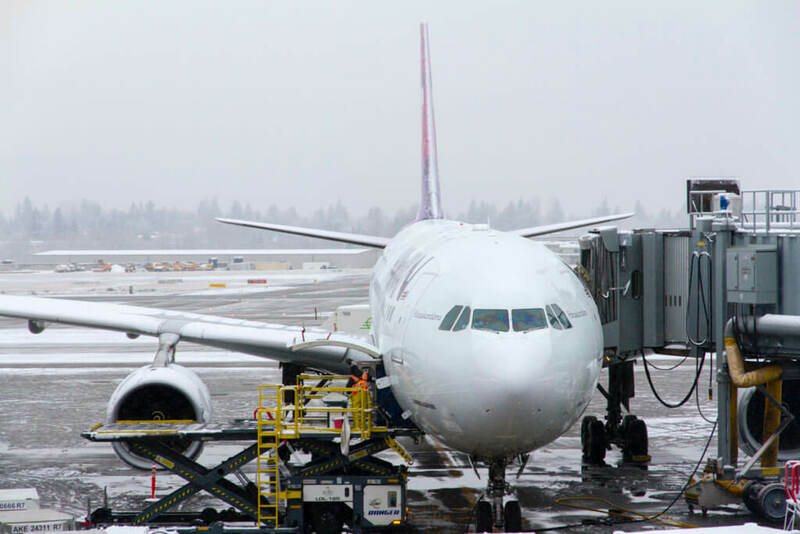 Our flight, Hawaiian Airlines flight 27, was scheduled to depart at 11:00 a.m. with a 10:15 a.m. boarding time. So 20 minutes to the scheduled boarding time we headed over to the gate area. And as is often the case, our boarding time came and went. Slightly behind schedule, pre-boarding commenced at 10:19 a.m., with the actual boarding call being made at 10:21 a.m.
My SIL and I booked Extra Comfort seating, so we had Zone 2 priority boarding and were able to settle in quickly. Initially we were in the center set of seats; however, a family was occupying our seats. Somehow they thought A and B were where C and D were. 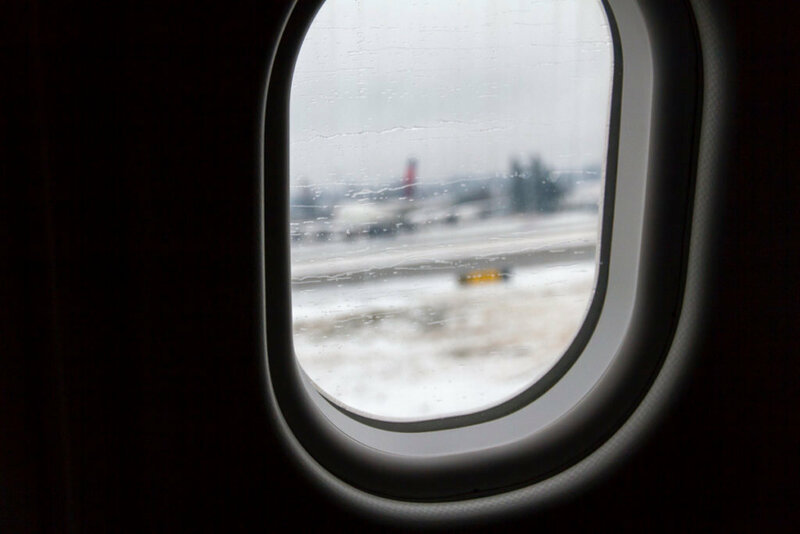 But, we preferred the window seat and didn't want to separate the young children from their parents, so we swapped seats with them with my SIL taking the window, and myself in the aisle. 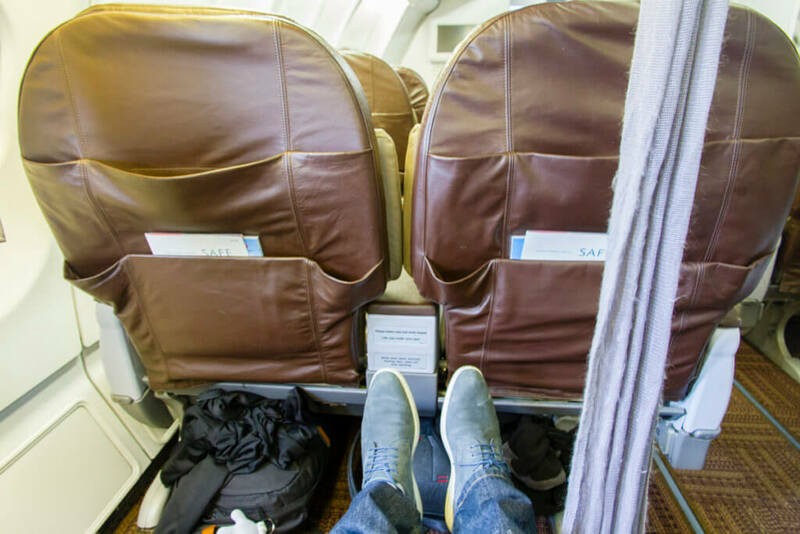 I've reviewed Hawaiian Air's Extra Comfort seating back when we flew from Las Vegas to HNLearlier last year. And these seats were no different, except for the massive amounts of leg space we had. Our seats were the bulkhead seats, though there's no physical bulkhead separating the first class and Extra Comfort cabins. However, what this meant for us was gobs of legroom! 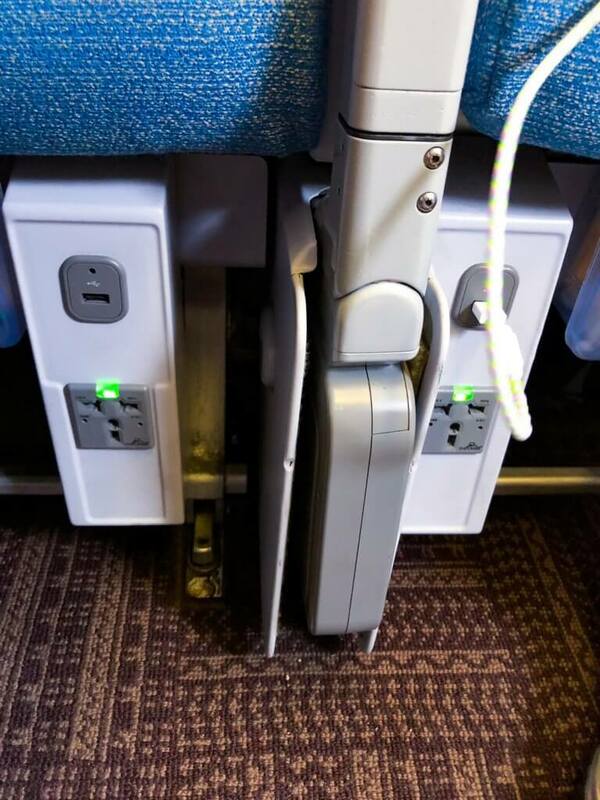 More, in fact, than you'd find in the exit row Extra Comfort seats. Unfortunately, our seats had seen better days, which is sad because this product is relatively new. For example, my SIL's IFE wouldn't work. Period. 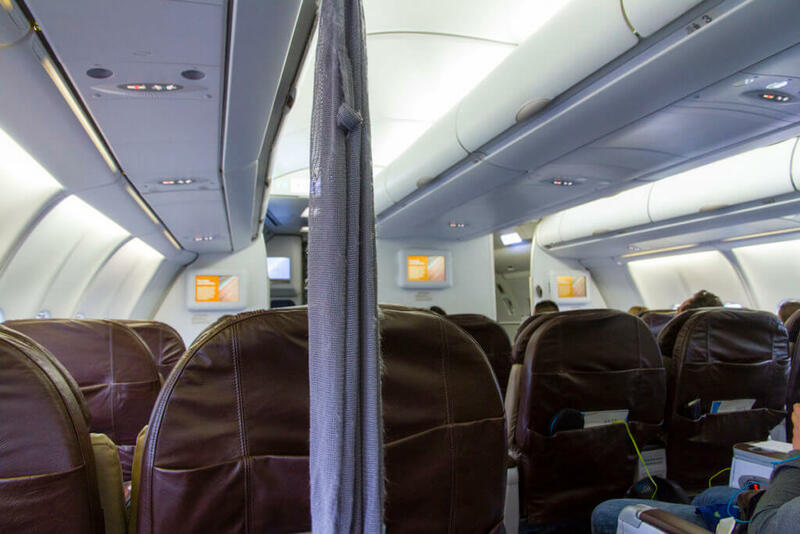 And that's a major bummer since the only benefit besides early boarding and extra space for Extra Comfort seats is the "free" in-flight entertainment. Me? My power outlet kept popping out, which was really annoying and probably isn't the safest issue in the world. 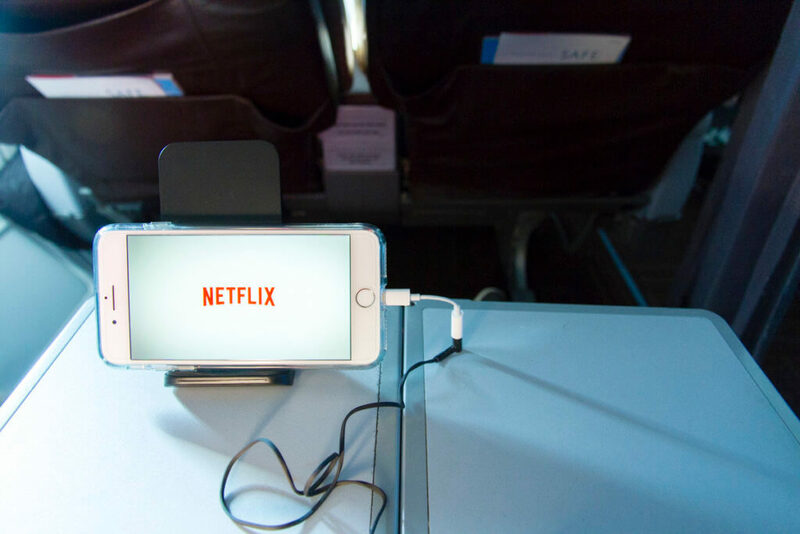 As a result of our issues, my SIL just slept most of the flight, while I watched Netflix shows I had downloaded. The Ranch to be specific, in case you were wondering. 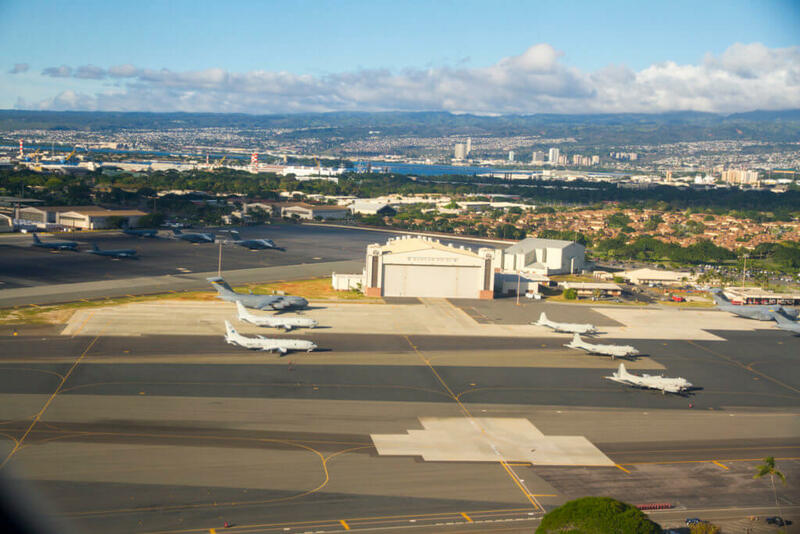 I will say, though, that it's kind of cool that the airshow features Hawaiian's updated liver. 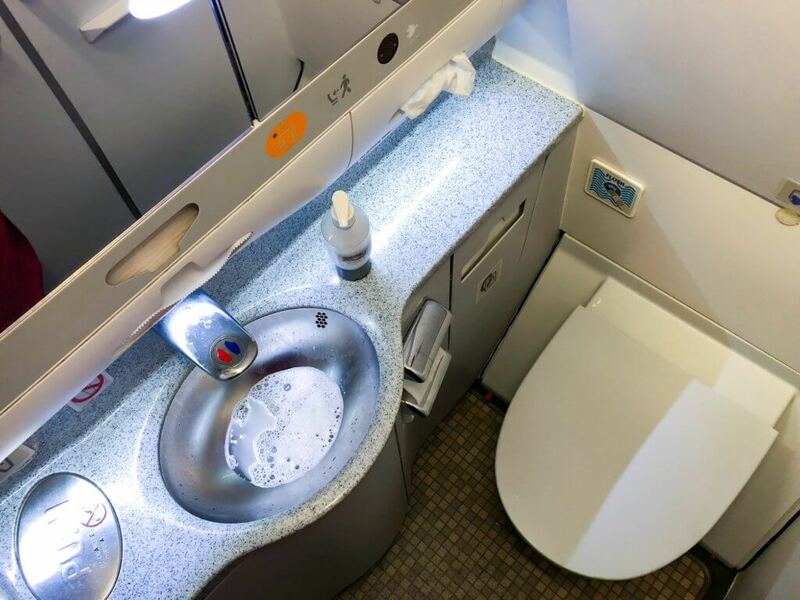 I did end up checking out the lavatory too, first time on Hawaiian if I'm not mistaken. It is, as you'd expect, rather small and inoffensive. The lavatory was clean, though I don't dig the 60's style tile pattern on the floor. Boarding took around half an hour to complete, with the cabin door closing at 10:52 a.m. However, a cargo loading delay kept us at the gate longer than expected. And then, an issue occurred on the ramp somewhere near the South Sattelite. As a result, we had to sit tight at the gate until the all-clear was given. 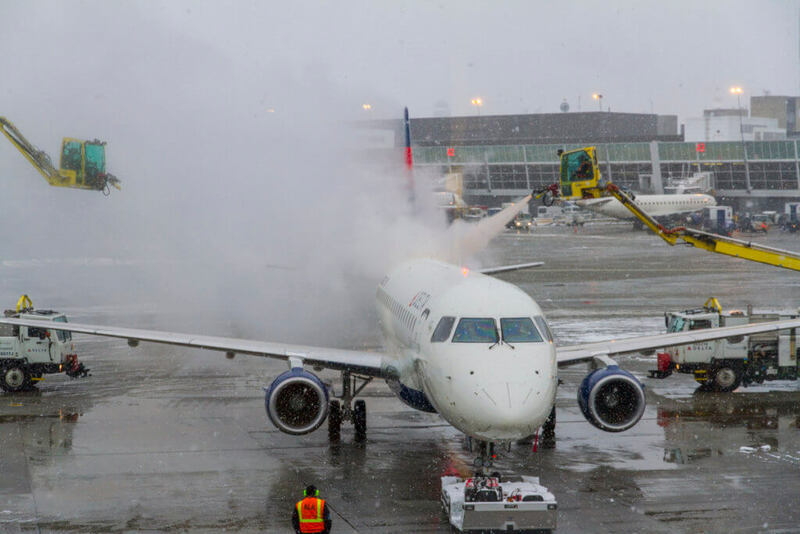 This happened around 11:29 a.m., at which point we had to pause again for de-icing. 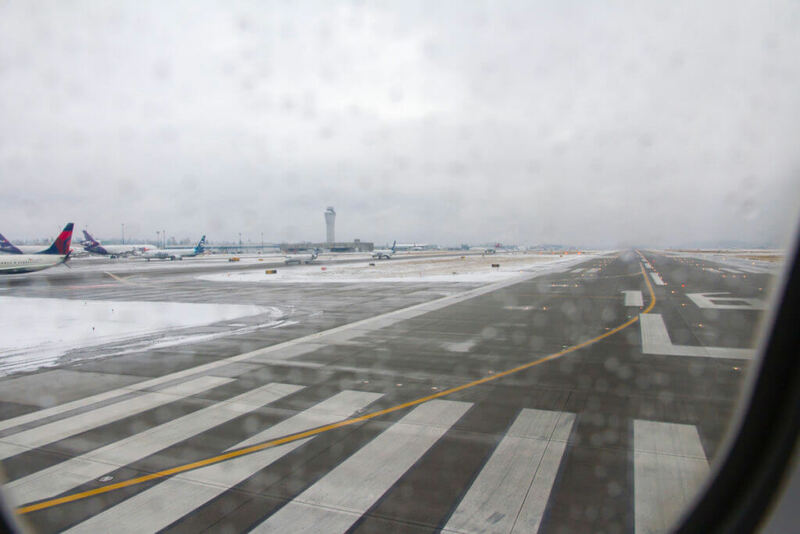 And thanks to the event, de-icing took longer than expected, wrapping up around 11:54 a.m.
We then took a short 10-minute taxi to the runway, where we queued for another fives minutes. But, at least there were some interesting planes to look at. Then, at 12:16 p.m., our pilot eased on the throttle an hour and fifteen minutes behind schedule. Our estimated flight time that day was five hours and fifty-nine minutes, with an arrival estimate of 4:20 p.m. Hawaii Time. 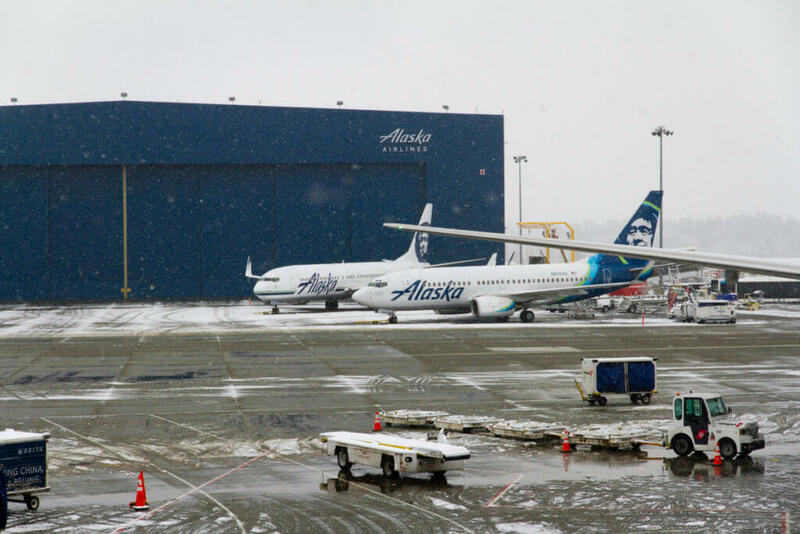 And unlike our last flight on Alaska Air from SEA-HNL, the winds weren't too strong, so there wasn't a lot of turbulence and our flight time was around the average length. Thank goodness. Meal service began around an hour after departure. And, per the usual, the crew started with Hawaiian's annoying Pau Hana cart for-purchase service. Then came the main event; Hawaiian's new hot sandwich lunch service. 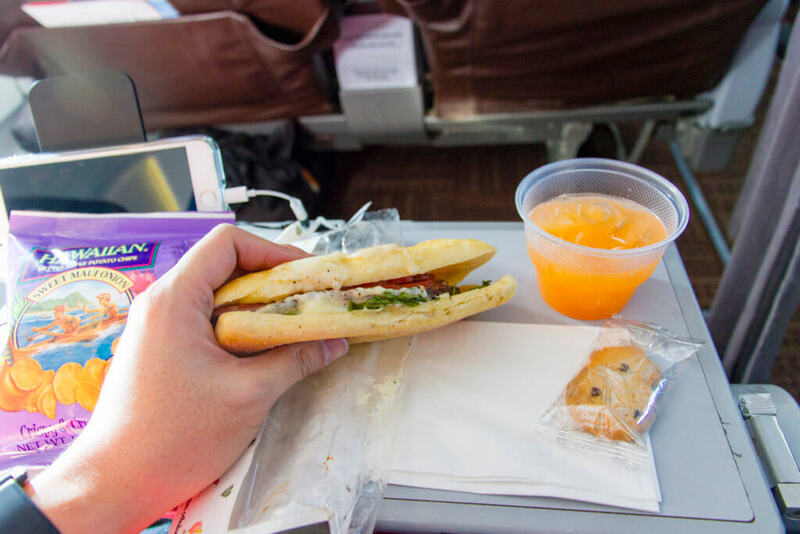 As you may recall, sandwich service was announced last year alongside the Airline's new uniforms. And, back then, I was skeptical of these new, cheapened meals. Guess what? I was right. 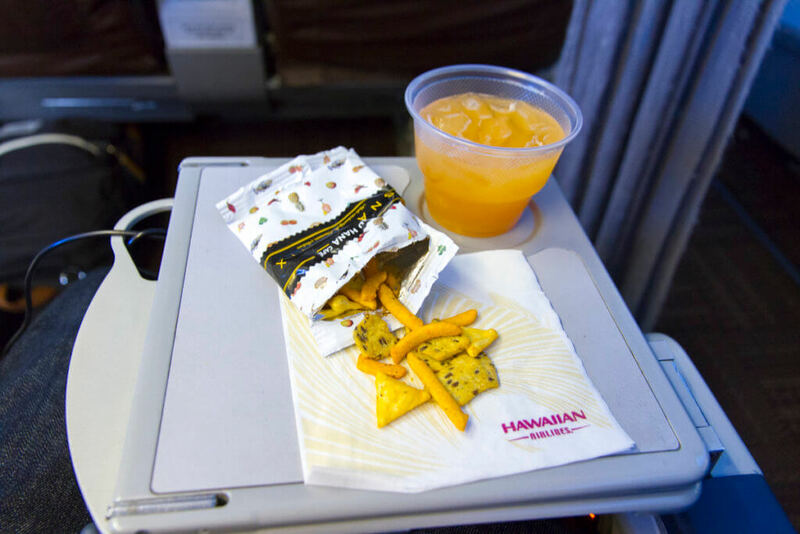 On this flight, passengers were offered their choice of soft drink or alcohol (for purchase) in addition to a hot turkey pastrami, arugula, and swiss cheese sandwich with a bag of chips and Honolulu Cookie Company cookies. When I first saw this sandwich on Hawaiian's menu, I was concerned. This being economy class, I was certain they'd toss the whole thing into the oven, arugula and all. And guess what? I was right. The sandwich was nice and warm, but the arugula was wilted into oblivion, and the cheese melted so much it all ran out of the sandwich and got stuck in the bag. Taste-wise, the sandwich is ok. It's not offensive, but not great either. It would've been better if the arugula wasn't wilted and the cheese wasn't non-existent but, again, this is economy. Nearly four hours later and about an hour from landing, our crew sprung into action for the pre-arrival beverage service. At this time the crew wished our flight a Merry Christmas and offered all a complimentary Mai Tai Punch. I opted for a POG, which was served with a bag of Hawaiian's Pau Hana Snack Mix. 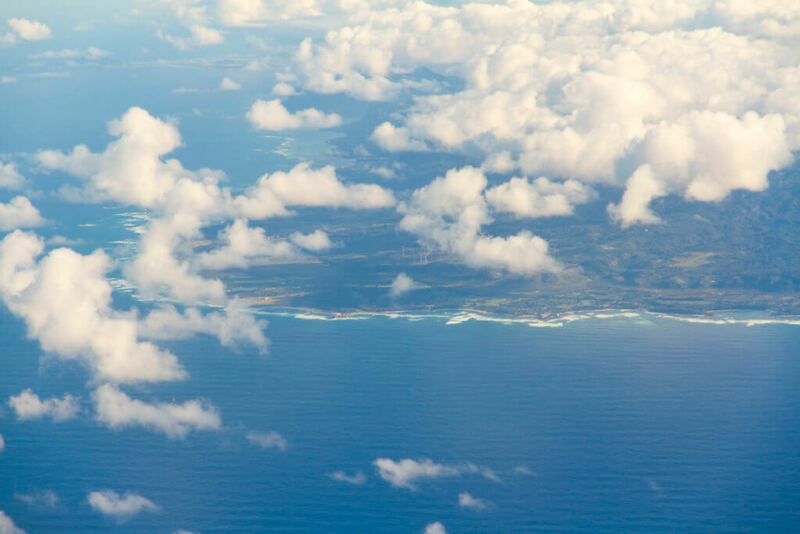 At 5:44 p.m. Pacific Time or 3:44 p.m. Hawaii Time, we began our descent. 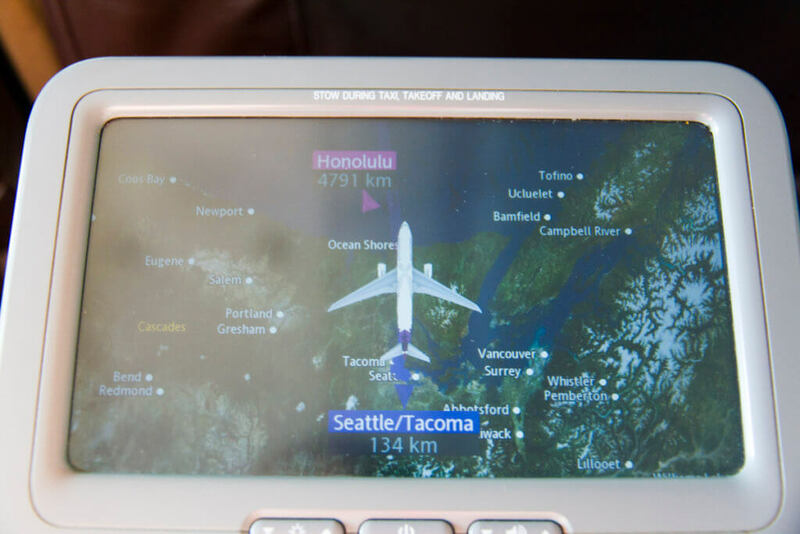 However, our flight took a different route into Honolulu that day. We approached the island much further to the west than normal. 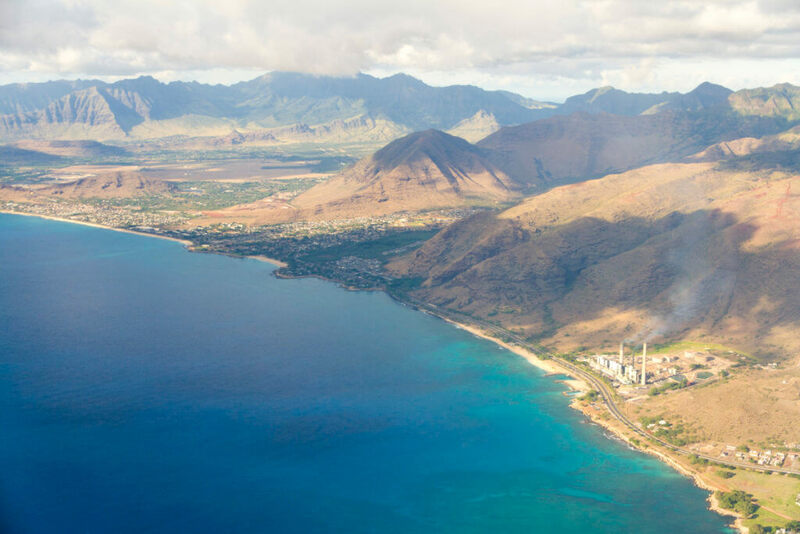 So instead of flying over the east coast, out to sea, and turning over Ko Olina, we flew past the North Shore and turned east off of Kaena Point. 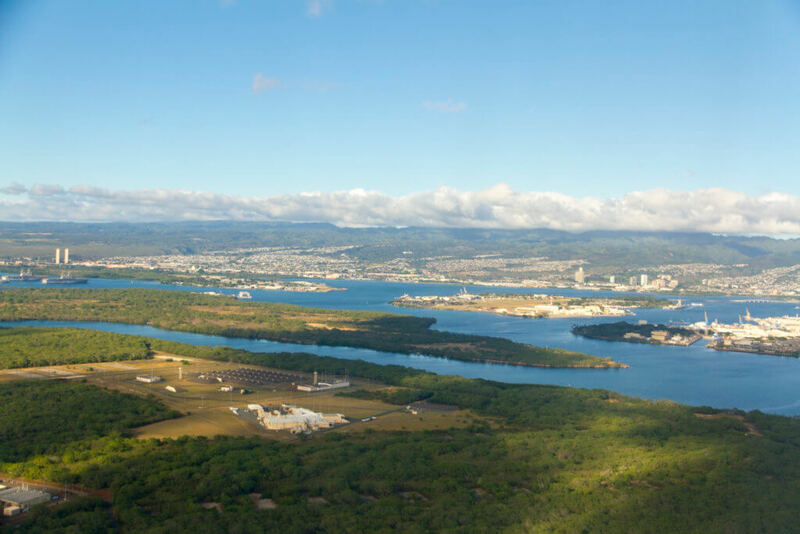 This gave us spectacular views of Oahu's rugged North Shore and Waianae Coast. 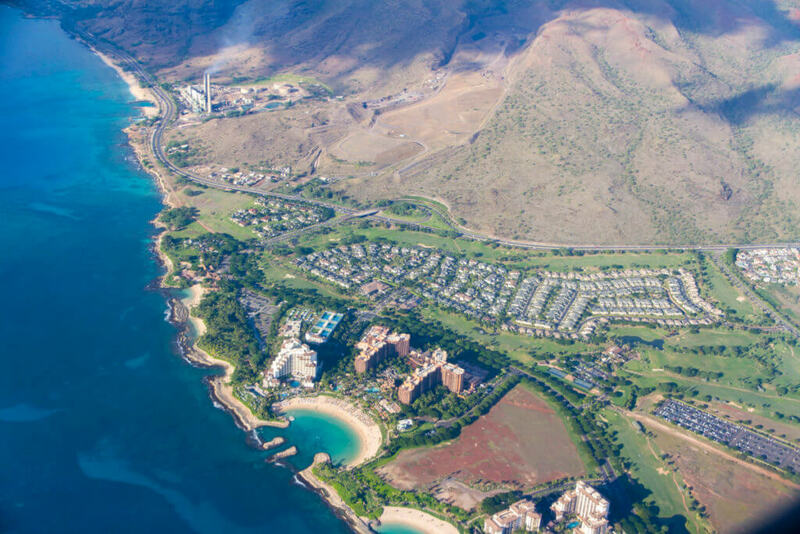 The views Ko Olina, Kapolei, Ewa, Pearl Harbor, and HNL itself were also great, as usual. Then, finally, we touched down at 4:16 p.m. Hawaii Time, an hour and 16 minutes behind schedule. 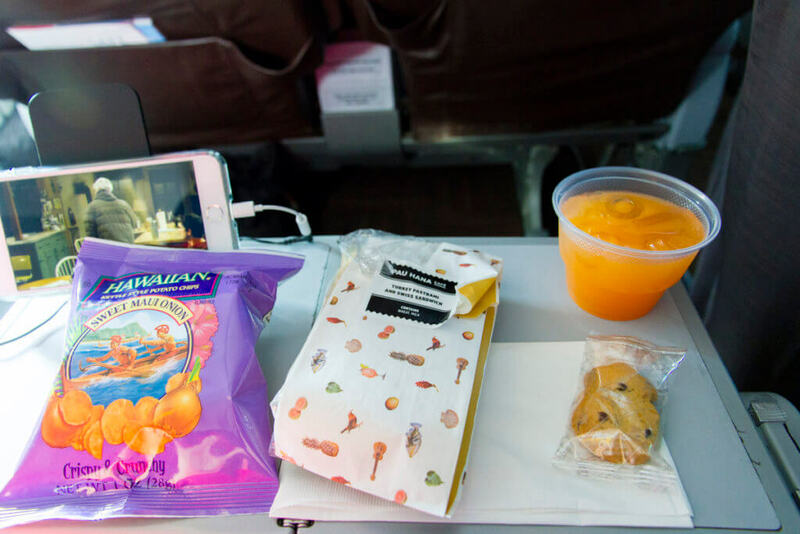 We then took a quick, four-minute taxi to our gate, pulling in at 4:20 p.m.
Hawaiian's new meals are, well, a major step backward from the previous meals. I don't care what they say. The new sandwich service cheapens the experience and is just as unsubstantial as the old meal service. Plus, the sandwich, while good in concept, is a fail in practice. What would be better is something more like Starbucks' hot sandwiches like the turkey pesto or chicken artichoke. But it is what it is. At this point, I'd rather pay $7 or $8 for a more substantial, tasty meal on Alaska Airlines. 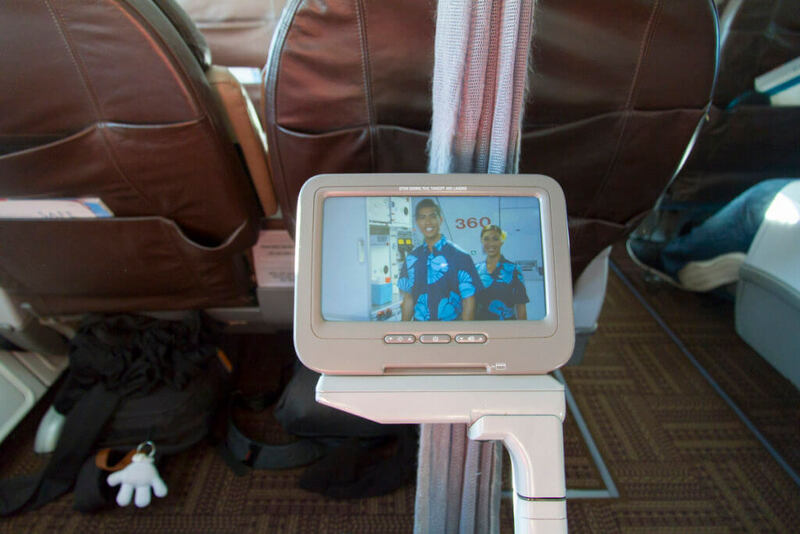 As for the rest of the flight, our crew was friendly and effective. 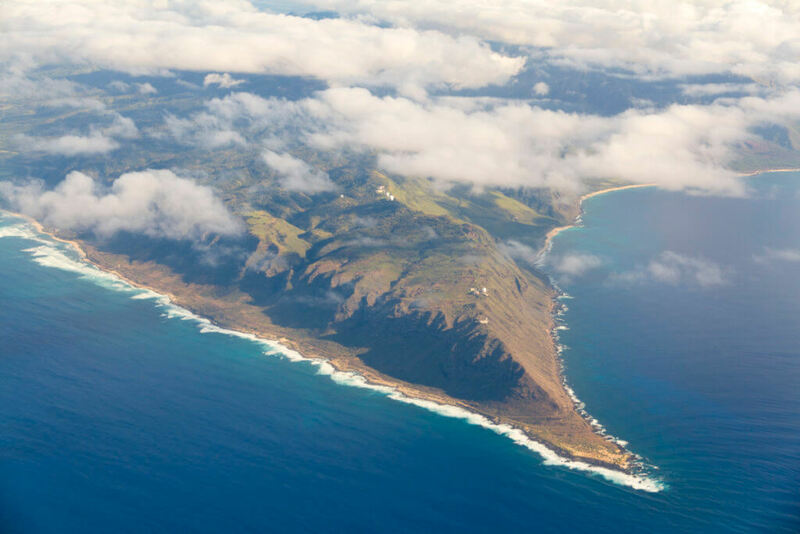 The flight, as you know, was late as is often the case when I fly Hawaiian. And the equipment is in poor condition. So, par for the course, really. 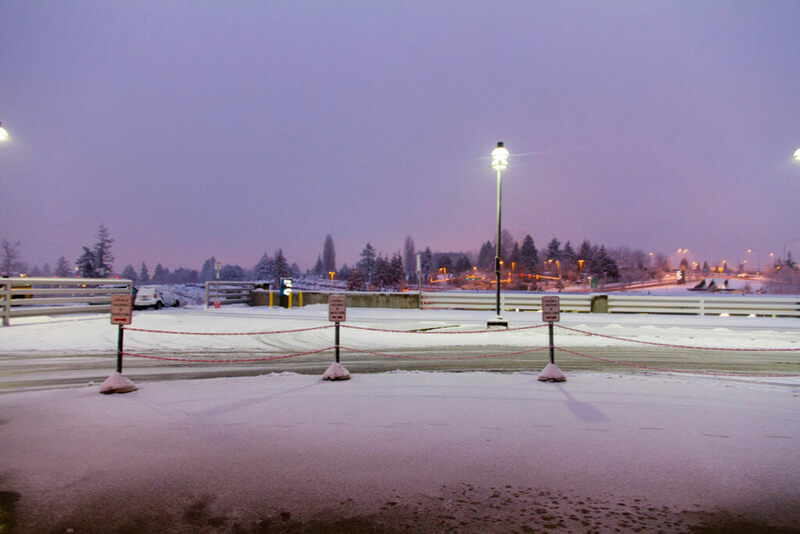 On my last day in Seattle, we set out early to head over to Seattle-Tacoma International. My sister-in-law had to return her month-long rental, so we first headed to the CONRAC facility. And from there, we hopped onto the shuttle for a 10-minute ride to the Hawaiian Airlines check-in lobby. The check-in line for Hawaiian wasn't too bad, but we were over two hours early. The TSA lines, on the other hand, were quite long. However, I have Global Entry, and the TSA Pre-Check line moved quickly. I was through in about 10 minutes, as was my sister-in-law, who was able to use the priority line thanks to her Hawaiian Air Premier Club membership. 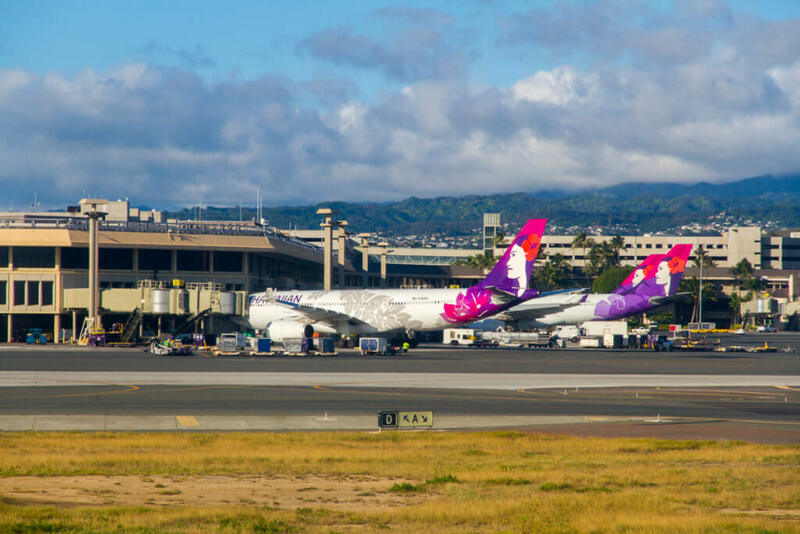 Hawaiian Airlines flies out of the South Satellite, so after clearing TSA, we headed down to the tram and took a ride to our terminal. 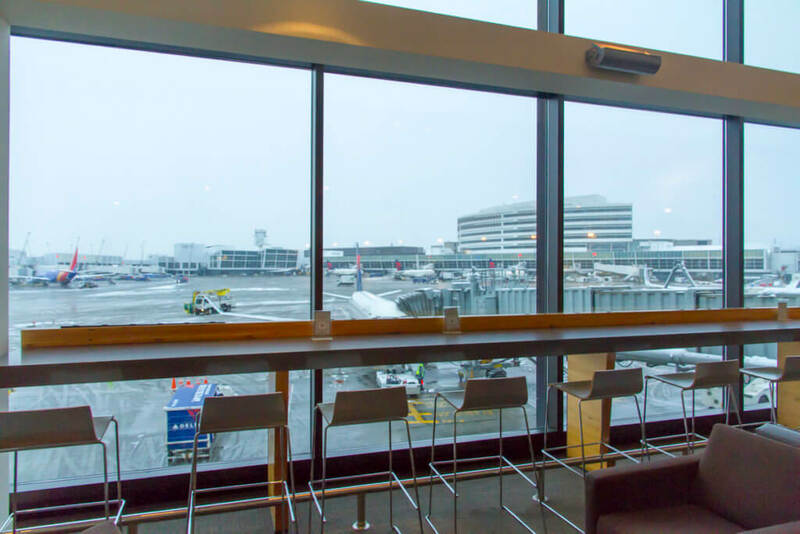 In this terminal, you'll find a British Airways Terrace Lounge, a Delta Sky Club, and The Club at SEA. 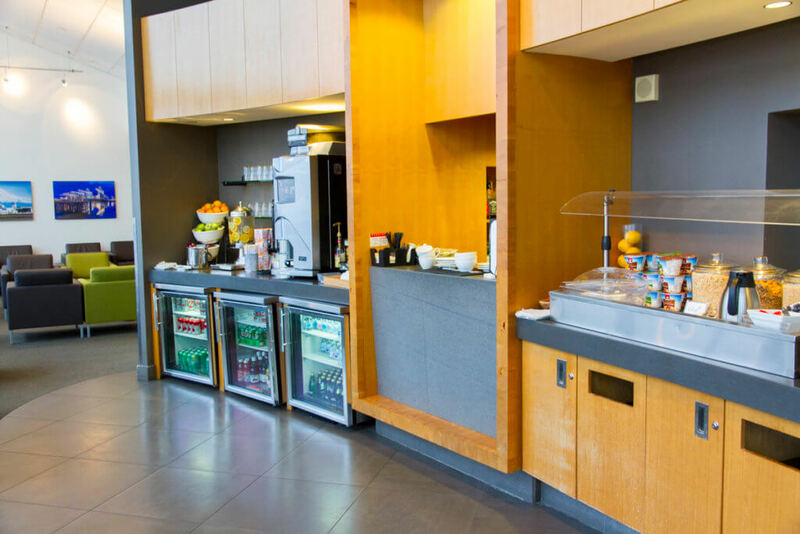 The two airline lounges are level up, while The Club at Sea is on the main level between gates 8 and 9. 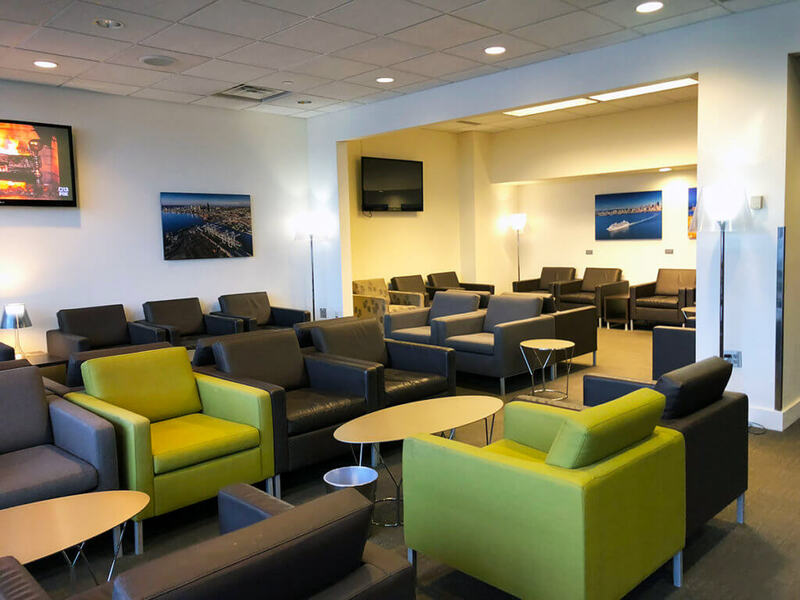 And to gain access to the lounge, you'll need to present your Priority Pass card (physical or digital), as well as the boarding passes of every person in your party. The Club at Sea has a spacious, L-shaped layout. To the left of the entry door there's a storage area for your bags, and behind the reception desk is a seating area with an awkwardly partitioned First Class area. 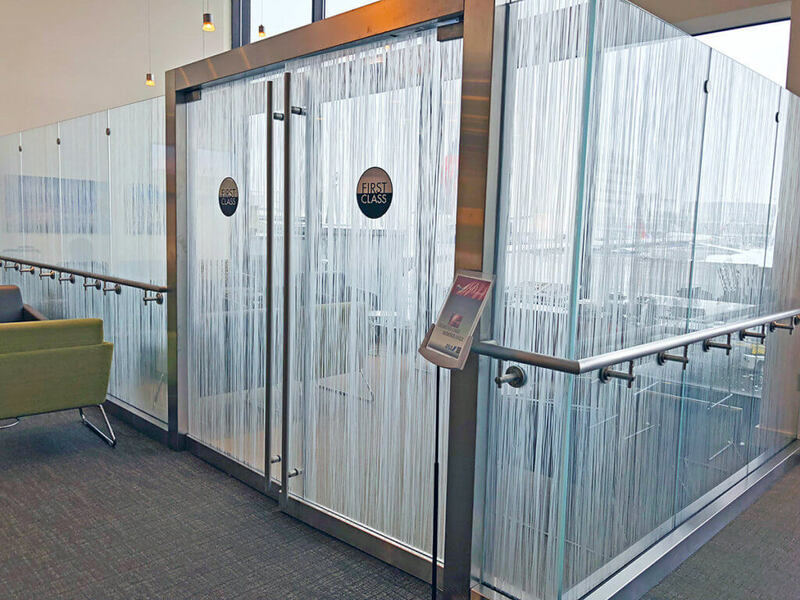 The partitions don't even extend all the way up, so it's not like this space will be any quieter, and there isn't anyone actively controlling access to it either. But, as the sign says, this area is reserved for ANA first class passengers. But, to the right of this partition is the rest of the seating, with some bar-style seating along the windows chairs, sofas, etc. accounting for the rest. I do like the bar seating in front of the windows, as there are great views of the tarmac from here. Farther into the lounge, there's TV's mounted on the wall and yet more seating around the corner. This is also where you'll find the restrooms. 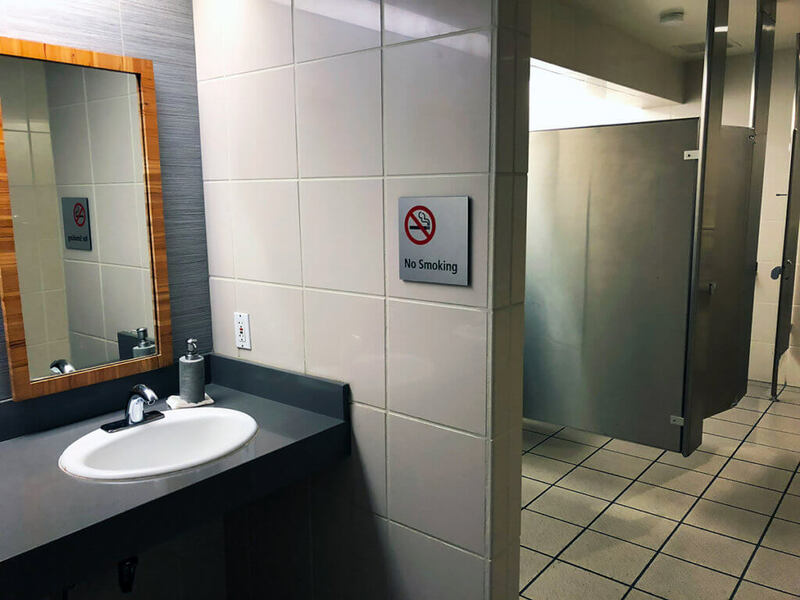 And while the restrooms are nothing special, I greatly appreciate their presence, as Alaska's lounge in the North Satellite does not have its own facilities. 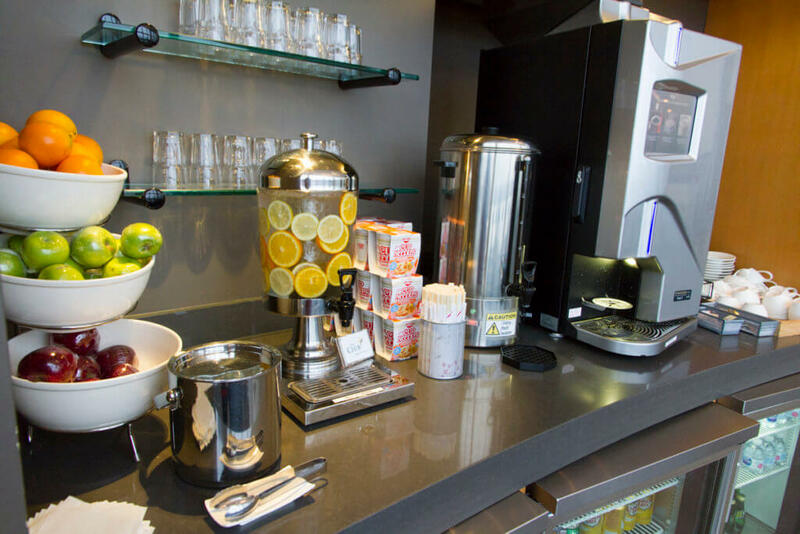 Unlike many domestic lounges, The Club at SEA has a nice assortment of refreshments. 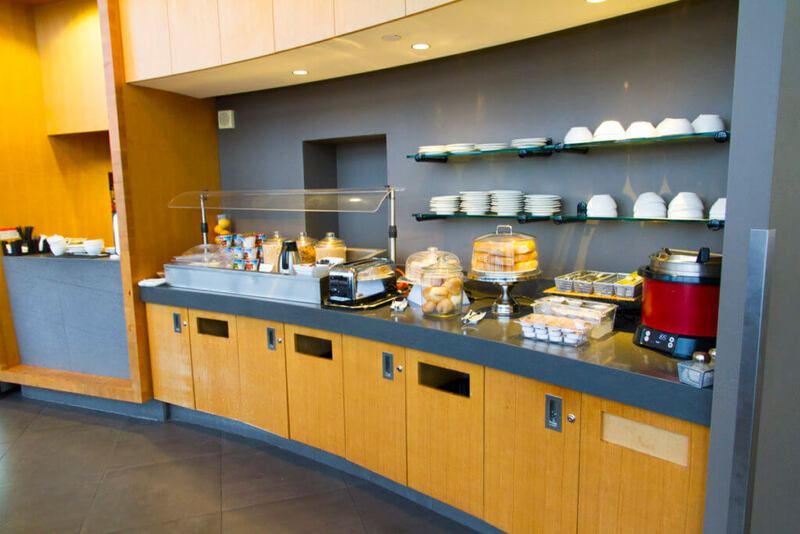 This includes soup, baked goods, hot and cold cereal (breakfast), instant noodles, fresh fruit, a cappuccino machine, bottled water, soft drinks, and even free booze! There is another counter with wholesale club-type pastries and bagged chips near the restrooms too that I forgot to take a picture of. None of the food, as you can tell, are all that great, but it's good enough, and I greatly appreciate the stuff even being there. And the alcohol... I must say, I'm impressed. There's no Dom or Krug or anything like that, but Piper Heidsieck is a really nice $50 Champagne. And I love that they stock Washington wine from Chateau St. Michelle. 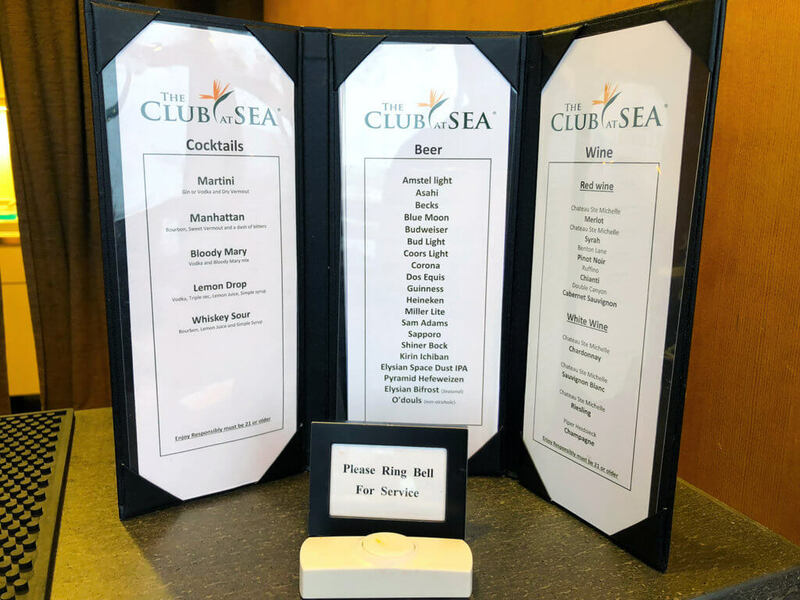 The Club at SEA may not be anything special, especially in terms of facilities, but it's better than most domestic lounges. It checks off all my boxes with its free food, free booze, great views, and private restrooms. 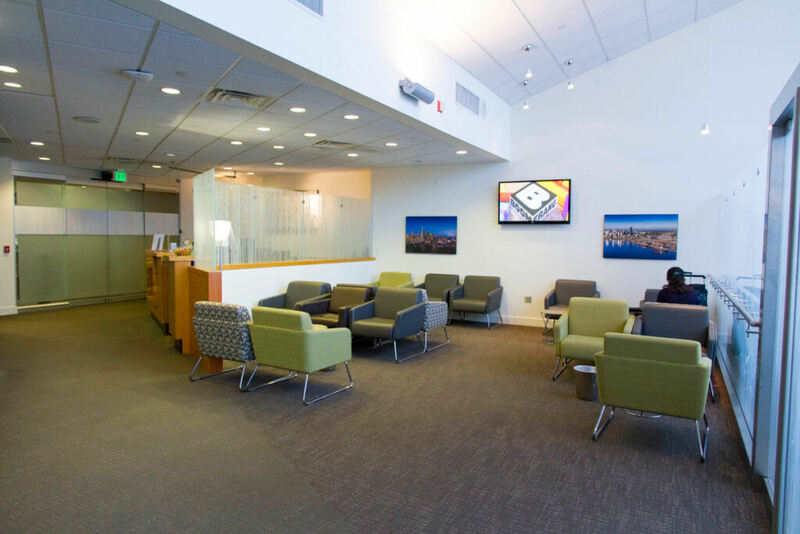 And, at least during our visit, the lounge was a nice, quiet place to visit. 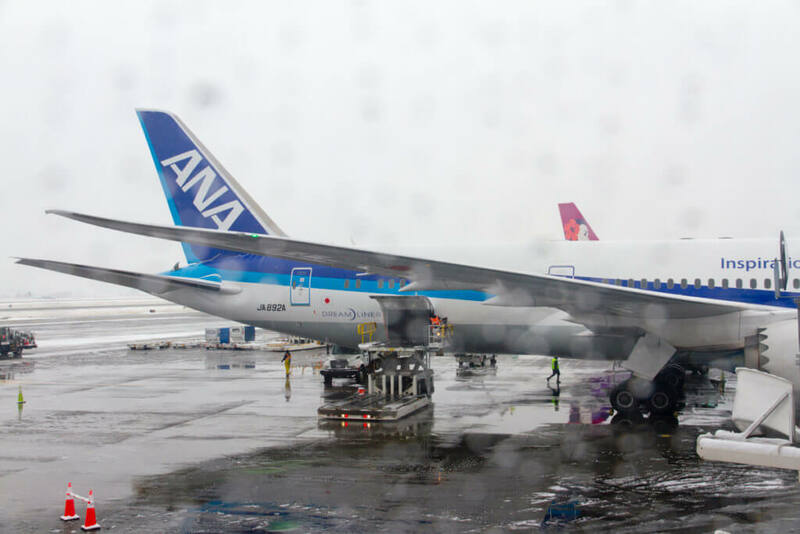 That being said, our flight was a late morning departure, and as we were leaving the lounge, passengers for an ANA flight began to file in. So, your mileage may vary. In fact, Priority Pass does say that access may be restricted between 10:00 am and 2:00 pm due to space constraints. I'm guessing those are the times the lounge typically fills with contract passengers, so heads up if you plan on visiting during those times. 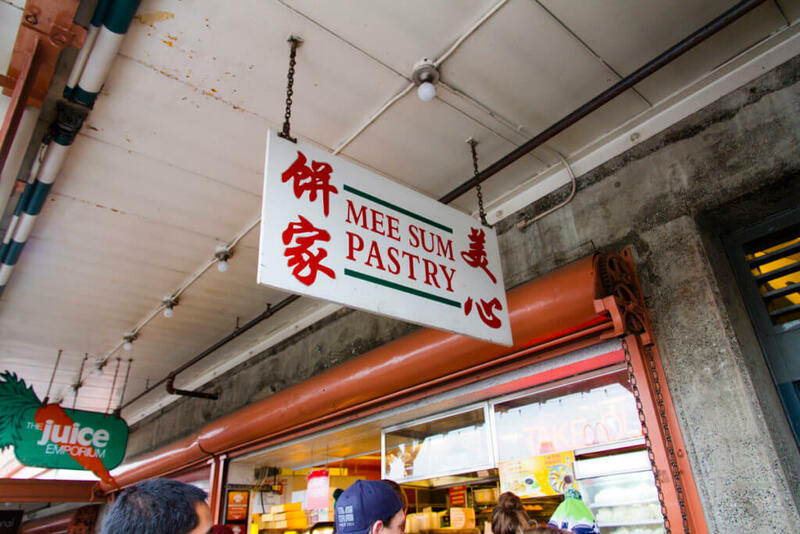 Now here's someplace I've never heard of, even though I passed it several times before; Mee Sum Pastry. Towards the end of my stay in Seattle, my friend from Portland (originally from Oahu) drove up to meet us. And, since he's always wanted to but never got to eat there, we went to Din Tai Fung. After that, however, he told us about a place we needed to check out. 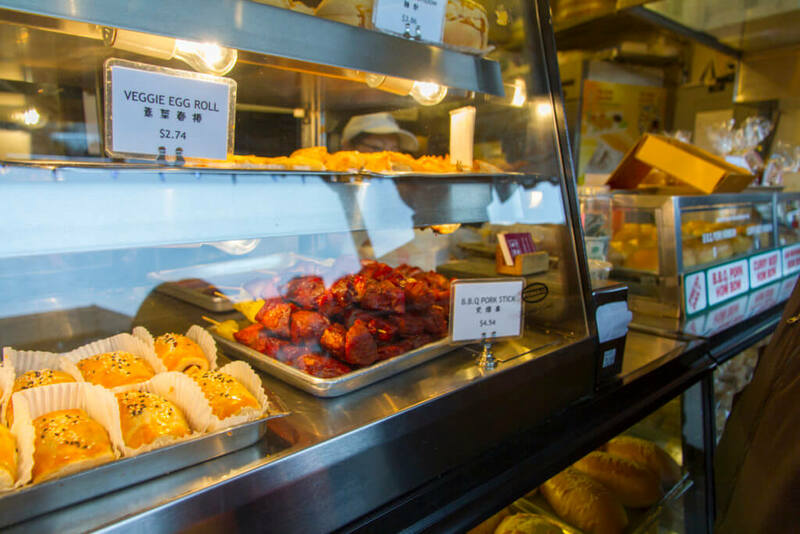 It's somewhere he always goes to when in Seattle: Mee Sum Pastry. 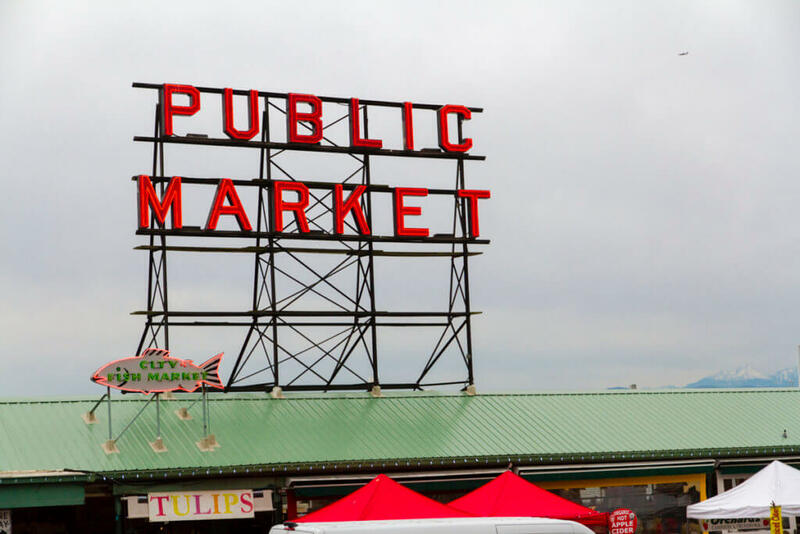 Mee Sum Pastry is located at the Pike Place Market on Pike Place just down the street from Beecher's Handmade Cheese. It isn't really a shop, but more of a small window from which you can order ready-made and made-to-order items. Blink, and you'll probably miss it, as I have every other time we've been here. And I'm not sure how I always missed it, as there usually seems to be a line for it. 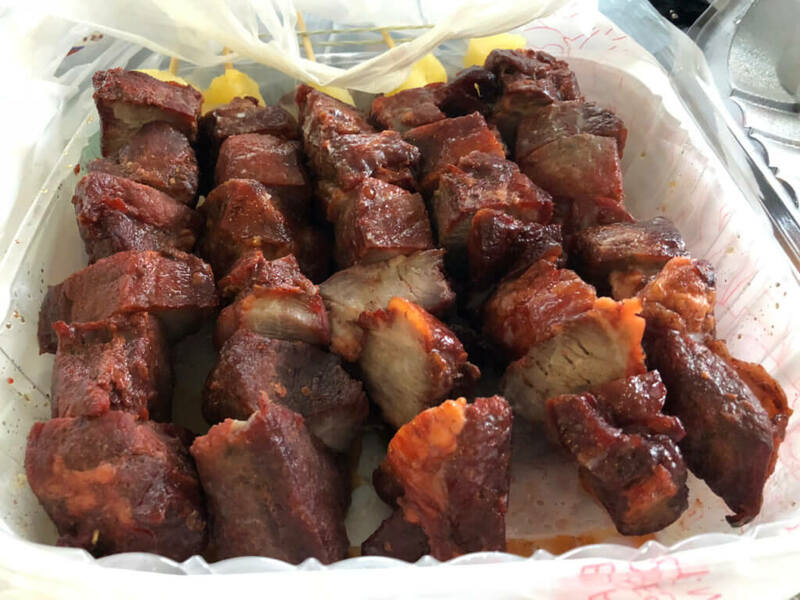 For my friend, the two things to get here are the BBQ Pork Sticks and the BBQ Pork Hom Bow. They have other stuff too, like egg rolls and shui mai, but we didn't try either. 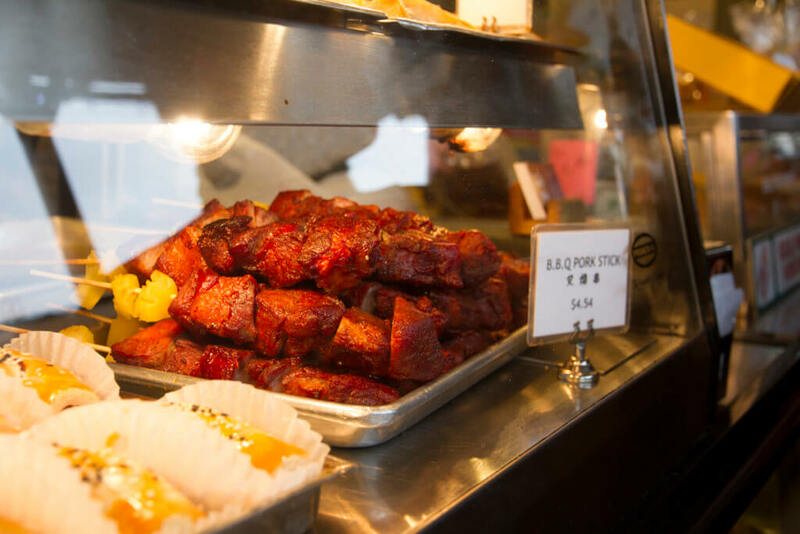 The BBQ Sticks are basically skewers of large hunks of char sui. But unlike the char sui we have in Hawaii, it's not a bright red color, which is a good thing. And it has a piece of pineapple on the end that you can eat to help cut the richness. 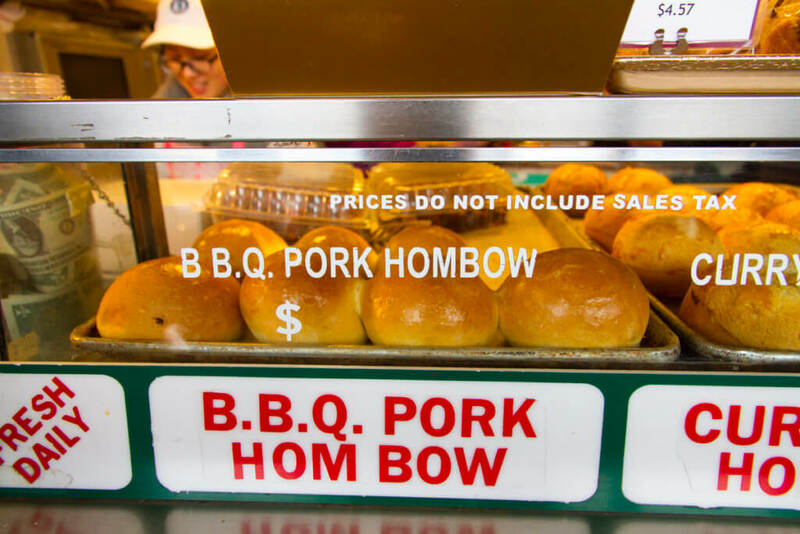 The Pork Hom Bow is really just giant char sui bao, or manapua as we call it in Hawaii. The version here, though, uses the golden, baked sweetbread-style bun. And, it's good. Really good. 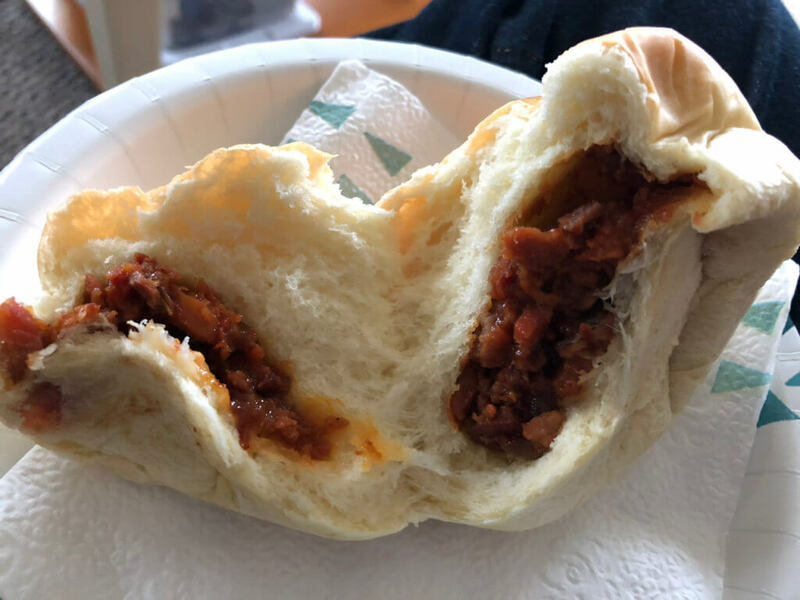 In fact, I like Mee Sum Pastry's version more than most in Hawaii. Who would've thought?! If you're looking for a quick, inexpensive snack or meal, I highly suggest checking out Mee Sum Pastry. It's in a convenient location, and the prices are super reasonable. One BBQ stick costs around $4.50, and they're HUGE! The place really is a no-brainer and is on my list of places to go when I'm looking for a light meal that's even lighter on the wallet.